For Geoffrey Chaucer and many of his contemporaries, the literary life of England began in ancient Troy. 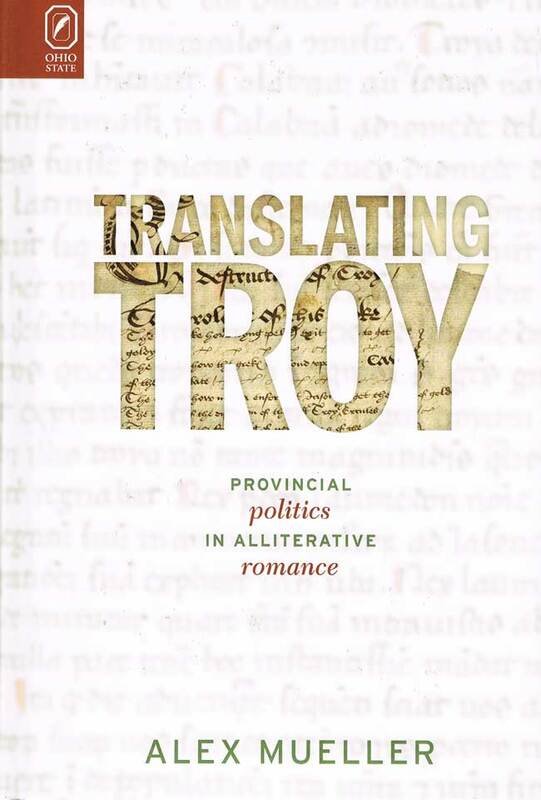 In Translating Troy: Provincial Politics in Alliterative Romance, Alex Mueller explores Middle English alliterative romances that challenge this genealogical fantasy and decentralize Troy as the eastern origin of western authority. Until the sixteenth century, the Trojans were widely believed to be the ancestors of the English people: the destruction of Troy led to the birth of Rome and eventually the foundation of a New Troy in Britain. In the fourteenth and fifteenth centuries, the fall of Troy was such a popular subject that the production of Troy books became an industry in itself. Influenced by the skeptical historiography of Guido delle Colonne, the provincial romances Mueller investigates resist the pervasive fashion to envision England as the inheritor of imperial power. Translating their Latin sources into concussive verse well suited for the rhythm, pace, and spectacular violence of battle, the poems belie enthusiasm about Trojan ancestry through critiques of the chivalric practices cherished by the metropolitan nobility. The consistency of their metrical choice, militaristic subjects, and anti-imperialistic sentiment suggest that these northern romances emerged from a Trojan word-hoard of provincial skepticism toward aristocratic claims to sovereignty. Alex Mueller is assistant professor of English at the University of Massachusetts Boston.